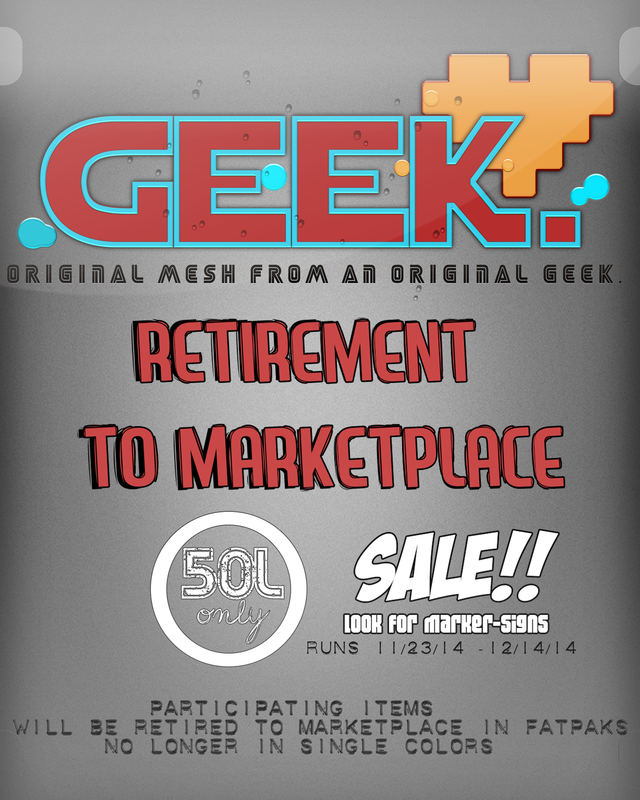 Geek is running out of room and now hosting a ‘Retirement to Marketplace’ Sale to get ready for 2015! Everything marked is at 50Ls and will be retired to the Marketplace when the sale ends in fatpaks.. Essentially, this is the last time they will be sold in individual colors and for such a cheap price. Start your Black Friday shopping out early & hop over! Sale runs from 11/23/14- 12/13/14.